Special thanks to Sherry for the below reviews! This was definitely a different twist on a vampire (? ), ghost (?) or madwoman (?) story. I got about halfway through and thought WT. Never saw that coming. Now I get it, or do I? A psychological thriller that will keep you guessing. The minute you think you have the answer, you better think again. The plot had me guessing if HE was real or not, but I’m a reader, not Zoe, so it is totally feasible to me. The book was well written and I liked that it took a twist here and there. Not your typical vampire or ghost story. Or even that of a locked up mad woman. As soon as I thought I had it figured out, something else would happen and I would be wondering, what now? Definitely messed with my mind, had my head spinning. And still does. What would you do if you had an uninvited guest in your house? Would you believe it was supernatural or would you think your mind was playing tricks on you? Even though you felt him, touched him, kissed him, would you be able to hold to your belief while everyone is telling you that you are wrong? That is Zoe’s situation. Zoe was confident in her knowledge of Andre, no matter what anyone else tried to tell her. All she cared about was being with Andre. He tried to make her see they couldn’t have a relationship, that they lived in different worlds – his was supernatural and she couldn’t join him there, or could she? Shortly into the book, I thought, this will be a three. It quickly turned into a four, for the simple reason I began to read faster and faster. I had to know what was going to happen next. The writing was captivating and took me deeper into the story as it built to its suspenseful ending. The end will take you away. Just hope you don’t end up in Serenity Hills with Zoe. Was he a ghost? A vampire? Was he even real? The story will have you so engrossed, that it won’t matter what Andre really is. He will win you over. I felt it was such a tragic love story, that I wanted to cry with Zoe, as she strived to create a real life with Andre. Their love was so great, I could only hope that it would break all the barriers that the supernatural had imposed on them. I loved the characters, and even Dr. Channing won me over in the end. The psychological thrill ride had me questioning everything. The plot was so unique and unforeseen, that I was constantly surprised. The ending left me stunned, I smiled as the tears ran down my face. It was one of the best endings of any book I have read and left me with a warm, fuzzy feeling that lingered long after I had finished the book. involved in her story that he's taken it upon himself to move into the house to take care of her. she has created this whole world in her head. when she escaped Serenity Hills and up to the present time. She is on bed rest telling her story to Dr.
knows that he is real, at least he is to her. want to give anything away this is all I am going to say! You know that I adore Taylor's writing and she didn't disappoint with the conclusion of this story. say that if she is in a dream world of her own making, it's not a bad one to live in! books and they are ones that I will definitely read again. There are some unexpected twists and turns and the ending is the most surprising I have ever read. I loved how Taylor sewed everything up in the end and you are left feeling very satisfied. And a little envious because Zoe found her true soul mate, even if he's a ghost vampire. 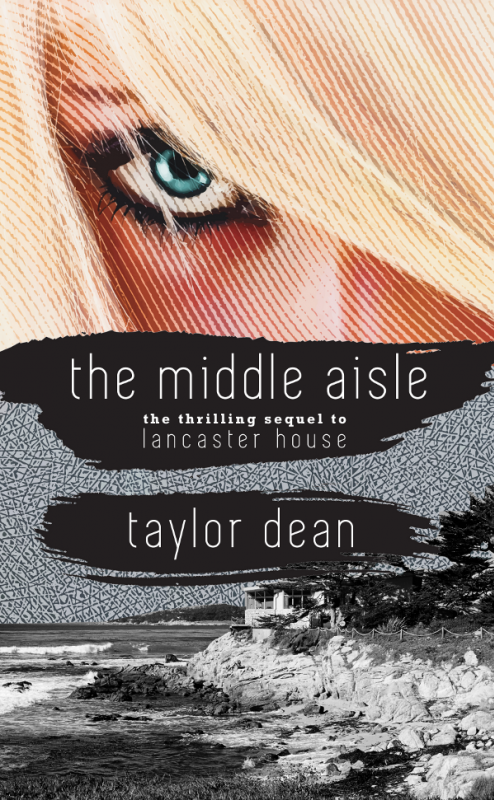 I enjoyed these reviews of Lancaster House and The Middle Aisle because Carly is an author also, and it's always great to hear another author's viewpoint. Thanks, Carly! Because I loved Lancaster House so much, I was nervous about the second book. I liked the way Lancaster House ended, and I felt as though the story was complete. I was worried that this would just be dragging the story out, but thankfully I was wrong. The Middle Aisle is told in the same way as the Lancaster House, and the whole cast of characters is there. There are twists and turns throughout the book, and one especially took me totally by surprise. It was a great book, and I am glad that the author continued the story. Loved it! I Have People Reviews have been AMAZING! Before I ever published my books, my hubby and I used to talk about which book of mine would be the one to see the most success. To be honest, we never thought it would be I Have People!! 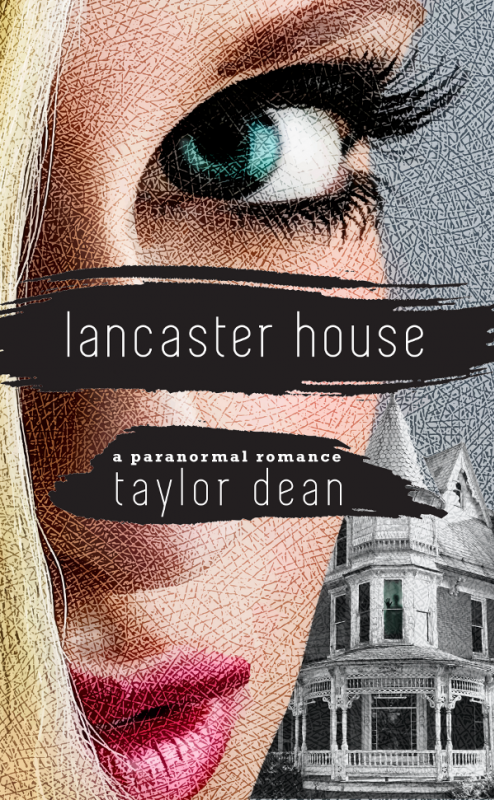 Not because we didn't like this book, we just figured Lancaster House would be more popular, being that it was paranormal. So far, I Have People has the highest rating on Goodreads and I'm thrilled! Wonderful and fabulous? I don't think anyone has ever called me wonderful and fabulous. I mean, my hubby and children often tell me they love me, etc. But they don't often say, "Mom, you are wonderful and fabulous!" So, to have someone post this is AMAZING! When I'm feeling down, I'll read this post to give myself a little pick-me-up! Publishing is not an easy business. Some days are good, some days are bad. When the good comes my way, I have to take it, embrace it, wrap it up in a cute little package and give it to myself. (You get the idea!) What a thrill! To all of my readers: I think YOU are WONDERFUL AND FABULOUS! Holly Noel Sinclair wakes from an eight month coma to find out that a lot has changed. She can't remember how she wound up in the coma. The doctor urges her to remember on her own with no help from her wonderful husband Gabriel or her best friend Angela. Her husband sets out to recreate past events in her life in hopes that her memory will return. She can remember her childhood and her wedding day but the past two years are gone. When someone from her past returns will she finally remember what she has kept deeply hidden? What are here husband and best friend hiding from her? Was the past as wonderful as she remembers or is something more sinister lurking in the background? Where to start with this amazing book? I have found a wonderful new author. Taylor Dean is officially on my favorite author list! I have never read her novels before and I have missed out. This is one of those books you can't put down. I lost many hours of sleep until I finished it. I can't stop gushing about it! It is hard to review and talk about without giving so much away. You find out bits and pieces of Holly's life as she does. You fall in love with the character. The flow is perfect with the flashbacks of her life. I would recommend this book to anyone. The suspense never lets up; I was hooked from the beginning and never once felt bored or lost interest. This book deals with a difficult subject – spousal abuse – but the way in which the story is delivered is just spellbinding. Holly Noel is a strong-minded, independent person who suffers a horrible ordeal and wakes up with amnesia. Her circumstance is unusual but she has some friends who stand by her, trying their best to help her make a new future and keep the past troubles from interfering in her new life. I read Sierra a few months ago by this same author and found it mesmerizing, so I jumped at the chance to read this book. I am so glad I did because I Have People is another winner. It is wonderfully constructed so that the story flows smoothly from start to finish, but it is also an exceptionally emotional tale. I became so caught up in Holly’s troubles and triumphs that I pretty much hung on every word. For all that transpired, these characters lived and breathed for me. They were recognizable individuals who were also unique. I became frustrated a few times when decisions were made that I feel showed poor judgment…but those choices were still, in almost every instance understandable. Ms. Dean is a new favorite author of mine. Pick up a copy of Sierra or I Have People and I bet she will become one of your favorites, too. 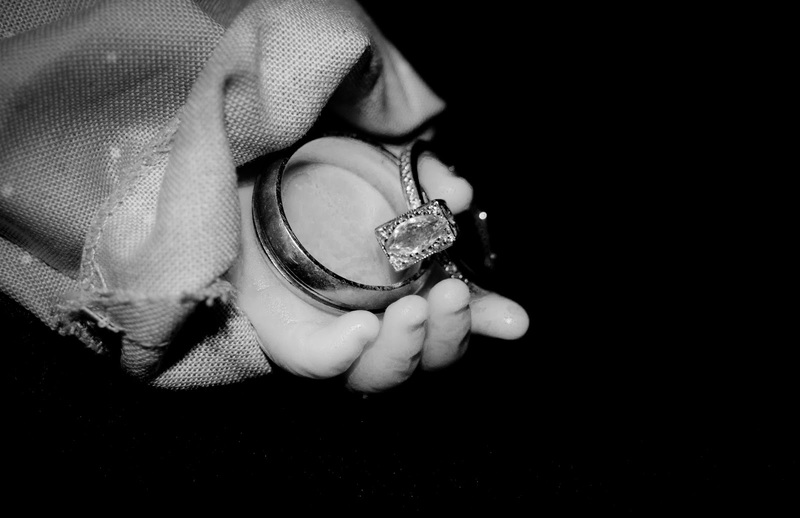 The amazing picture up above is Jerad's hand, his mother and father's wedding rings within his grasp. We have the Now I Lay me Down to Sleep foundation to thank for the picture. These guys are amazing. They are a group of photographers that donate their services to families who have or will lose a baby. They rush to the hospital and thoughtfully embark upon a photo session. The families are allowed to do what they will with the photos, free of charge. Precious little one, you were loved from the moment of conception. By your parents, by your grandparents, by great grandparents, by aunts, uncles, nieces, and nephews. We’re here, Jerad, and we want you, we love you. We rejoiced in the news of your creation, of a new life, a new member of our family. We loved you, we looked forward to meeting you. But sometimes things go wrong from the very beginning. And when the doctors told us the dreaded words, Trisomy 18, we said, what? Who knew such a thing existed? Who knew you could carry a baby inside of you, a thriving baby, a beautiful baby, only to lose him upon birth? What kind of cruel act of fate was this? Life is tender, life is precious, life is sacred. And you were alive, little Jerad. You lived, you fought for life. Your mother and father refused to give up on you. They loved you, they wanted you. Even if they only saw you for five minutes. Even two minutes with you would’ve been the fulfillment of a dream. We waited, we hoped, we prayed. You lived, you flourished, you wiggled, you kicked. Your short life was lived inside the safety of your mother’s womb, cosseted and sheltered in her love. Eight months of precious life. Your earth life. All the life you needed. A spirit so special, so righteous, so valiant—the perils of this life were not for you. An heir to the kingdom of God, having proven yourself long ago. This is our comfort, this is our peace. But, we’re still here, Jerad. Why aren’t you? There is an AMAZING song dedicated to the families of Trisomy 18 and 13 babies. It is BEAUTIFUL. Be prepared, it's a tear jerker. To view it, click here. I love you, Jerad. I miss you. Winner of the End of the World Giveaway Hop! Soy, please contact me asap at taylordeanbooks[at]gmail[dot]com. The provided email bounced back saying it was undeliverable. Even more reviews of I Have People! Yes, more reviews. Bear with me! 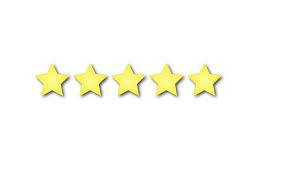 I LOVE to post all my reviews. It's more for me than anyone else, but good reviews make me happy! A special thank you to all the reviewers who took the time to read and review I Have People! Review: I think I might have mentioned that Taylor Dean is one of the best discoveries I've made this year as far as authors go. I've read 3 of her books so far, Lancaster House, Sierra and now I Have People. There's one element that binds them together, suspense. I'm so glad that my copy of I Have People was an ebook, because the suspense in this book would have been to tempting for me otherwise. I know if this had been a physical copy I would have been flipping the pages to find out what happens. Like all of Taylor's other books, I find it hard to review the story without giving away things that you really shouldn't know unless you've read the book. Here are some things I can tell you. 1. This book deals with domestic violence. 2. Holly is at times the stereotypical battered wife as well as a head strong female. You will love her and be frustrated with her all at the same time. 3. Gabe is the man you absolutely want to have in your life. 4. Ange is the bff we all need and want. If you haven't read one of Taylor's books yet, you really should pick one up. They are all emotionally charged and full of wonderful characters that you can't help but love and root for. I was pretty excited to read this one. I only knew the basics and was okay about that going into this one, which for me is pretty odd! This book was a real head scratcher for me! I kept thinking I was figuring things out, then Dean would throw something else in and off I would go trying to figure that out! The story was well written and the plot was well thought out. The characters were enjoyable and easy to like. Overall I enjoyed it and didn’t want to put the book down until I made it to the end. Not a love, but a solid like! My earlier experience with Dean's was good which prompted me to sign up for this tour and I am glad at my choice..From page one I was deeply into the story..It has an element of suspense, thrill engrossed with deep and passionate true love , temporary amnesia only took the story to another level.. I am in awe of this book, just loved the way Dean has weaved a dream love between Hol and Gab..Their love for each other only made me curious to know about the secrets Gab was holding away from Hol...I wanted rush through the book while not wanting to miss the wonderful moments between them... Affection, love , friendship , trust, fear, loss, pain and hope are clearly portrayed through Holly, Gabriel and Angela which completes the circle with Cal...One instantly feels attached to Holly and feel sorry about her frustration at her faded memories time and again..But Gabriel was the absolute show stealer for me with his warmth and love...Moments between Angela and Holly are absolute girly moments..Being that said, I felt the epilogue to be bit overdone, on the whole I thoroughly enjoyed my read..This is definitely a wonderful girly pick for me..
Taylor pens "I Have People" with realistic and relateable characters. The plot deals with love, domestic abuse and the characters healing process. A very well written story with a roller coaster of emotions in a difficult read, but totally well worth it. Highly recommended for all readers. I give "I Have People" a 5 star rating. I Have People is an emotional journey of a young woman named Holly Sinclair. She was in foster care all her life because her mother couldn’t stay clean long enough to take care of her and she never knew her father. As soon as she turned 18 she was released from foster care with no family or friends to go to. Because she doesn’t have anyone, she becomes the perfect target for domestic abuse. I don’t really want to say too much more about this wonderful story because I don’t want to give anything away. What I will say is that I totally admire Holly’s character. While I have personally never dealt with the types of situations she went through, I can completely see how and why she does the things she does. I recommend this book to any woman. I think it might even help some who find themselves in a dangerous relationship with someone. I smiled and cried and I will defiantly re-read this book one day! FABULOUS Review of I Have People! Every once in a while a book comes along that tugs at the heart strings, for me that book is I Have People. Holly Sinclair has awaken from eight months in a coma after a traumatic accident that caused her extensive injuries, in fact the doctors considered her recovery a miracle of modern science. She has amnesia and the only memories she has is that of her loving husband Gabriel. Frustrated with the missing pieces of her memory and her inability to recall what happened to her, Gabe recreates their dates in an effort to make new memories and a fresh start for their relationship. But things aren't always what they seem: an attentive Gabe and best friend Angela are holding back information on the traumatic accident which causes Holly to become suspicious .... and when she does regain her memory of the accident, the shocking revelations changes everything. 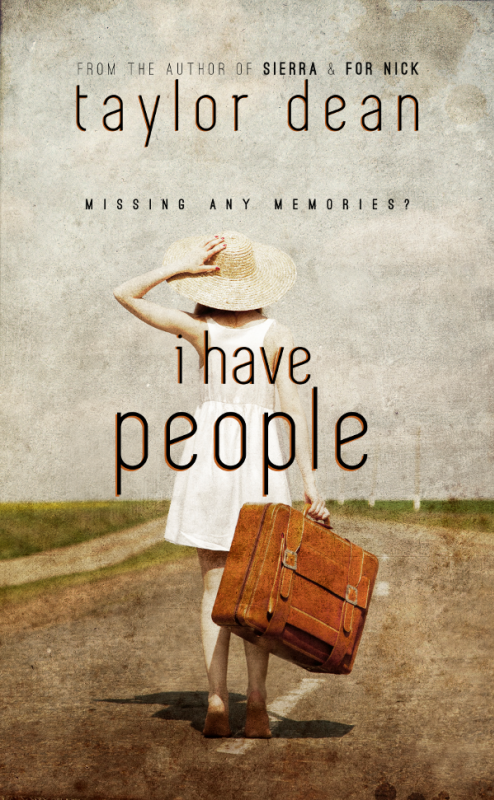 I Have People is a poignant story of love, hope, domestic abuse and redemption. 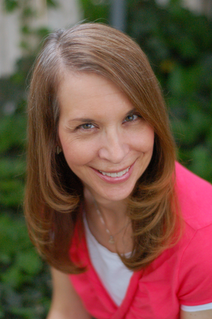 Author Taylor Dean weaves an emotionally charged tale about one woman's life story and how she recovers from a traumatic experience to discover the warmth of being loved and having people who really care about her. Written in the third person narrative, the author draws the reader into the life of Holly Sinclair as she recovers from a traumatic experience of domestic abuse. I was fascinated with the progression of Holly's growth: from her naivete when she awakens from the coma, to her frustration at her memory loss, to the recovery of her memory and strength to stand up for herself. You can't help but feel for Holly and what she's been through, her story will take you on a roller coaster ride leaving you emotionally spent. Author Taylor Dean does a wonderful job of thoughtfully writing about a very serious and sensitive issue that unfortunately does occur in some domestic relationships. 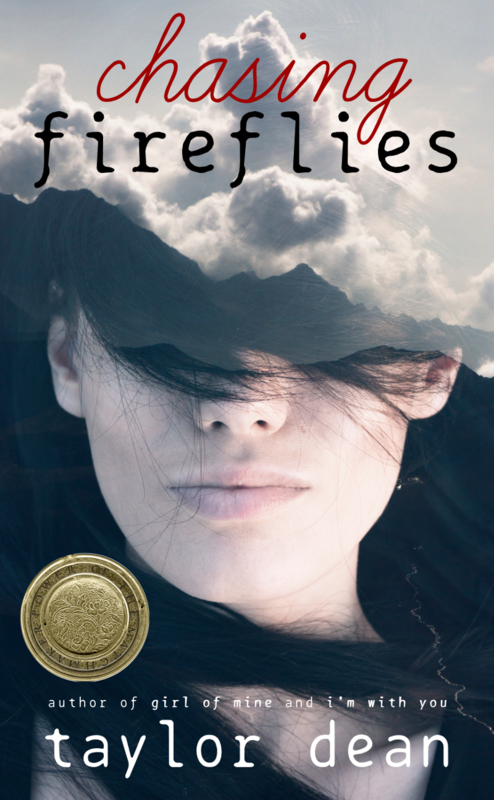 The storyline is told in the present day with a flashback to two years prior, and the intriguing twists and turns keeps the reader engaged as Holly's story unfolds. With realistic and complex characters; engaging dialogue and interactions; and various settings and a multi-layered storyline that is rich in detail and vivid descriptions, I Have People is a powerful and compelling read. I Have People is an amazing story that will bring out all the emotions, and will stay with you long after the words have been read. This five star review is from Shelly, formerly of Dive Under the Cover, but is now at House of A la Mode. Most of you know how big of a Taylor Dean fan I am and this book was no exception and it's totally not because I have a quote on the back of the printed copy! I loved this book, but not quite as much as Lancaster House. This is one of those books that I can't really talk about too much for fear of spoiling so I am going to keep this review brief. At the beginning of the book I had a little trouble with how Holly spoke to everyone. I felt like she came across as really artificial, but as the story unfolds you realize that there is a reason why she is acting this way. Holly is so naive in the beginning, but she grows tremendously during the course of the story. There were times that I was so frustrated with her for the choices that she was making, but her situation is so real and as you are reading it you can't help but hurt for her. This was a hard book to read because of the subject matter, but Ms. Dean does a wonderful job handling these scenes. Readers should be aware that this book does deal with domestic abuse. This isn't an issue that I have dealt with on a personal level, but I believe that the issue is handled well in this story. You feel for Holly deeply and you will root for her to make better choices. At it's heart this is a love story and has a great element of hope. It's wonderful to see that moment when Holly realizes that even though she started out alone she really does "have people". I can never say enough about how great a storyteller Taylor Dean is. She writes stories that tug at your heart and make you feel no matter what genre. I highly recommend all of her books if you like wonderful, heartfelt stories with great characters and clean romance. The next review is from Cami of My Reading Addiction. Thanks, Cami! This is one of those books that in my review I can say I loved it and that Taylor really does a great job of connecting you to the characters so that you feel for what is happening to them. That being said, I dont want to spoil the story for anyone. Let's just say this deals with a subject that some may find hard to read about. It really reminded me a lot of a movie I have seen on Lifetime. Having to piece yourself back together after a trauma is one thing, but having to second guess yourself on who to trust would make the whole situation that much more difficult. 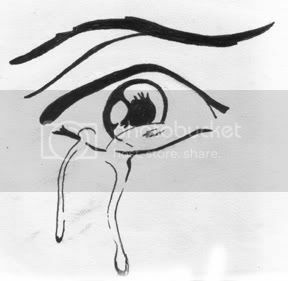 What Holly goes through in this story will hit home for some people and pull on your emotions, but, you wont be sorry you read it! 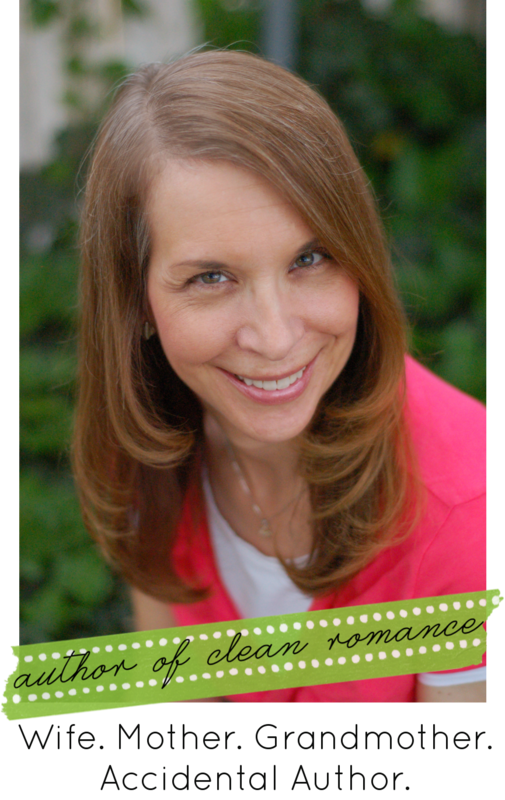 The next review is from Dalene of A Date with a Book. Thanks, Dalene! This book is definitely a love story that is not without its difficult times. I really enjoyed how the author has woven the various parts of the story together to provide such reading enjoyment. I could not read it fast enough. It’s like she has written many cliffhangers throughout the book. This is my first book by this author and I can tell you it definitely will not be my last. As soon as I finished reading this book, I purchased Sierra by Taylor Dean. I just hope I can find time to read it soon. There are very few authors that can write such a dramatic story, but Taylor Dean has just proven that she can. I don’t even know what else to say without giving anything away. I liked all of the characters, but not really. If that makes sense. The author has created some remarkable characters and their lives that intertwine amongst one another. She has also been able to take such a sensitive and upsetting topic and write a wonderful love story. 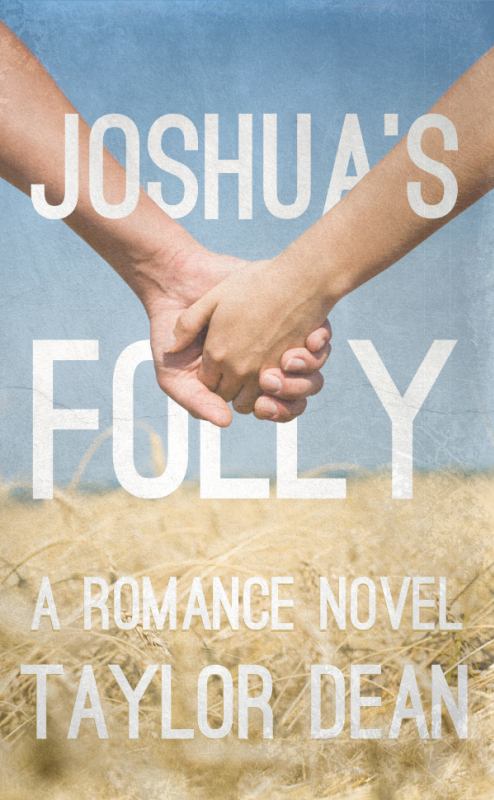 This story is definitely not for the faint of heart, but is also for the hopeless romantics. Listen to me, you can take a precious jewel worth millions, dip it in mud, leave it dirty and stained, its beauty spoiled, and underneath it all it will still be worth millions. Taylor Dean. I Have People (Kindle Locations 6902-6903). I would definitely recommend this book to all readers of romance and women’s fiction. 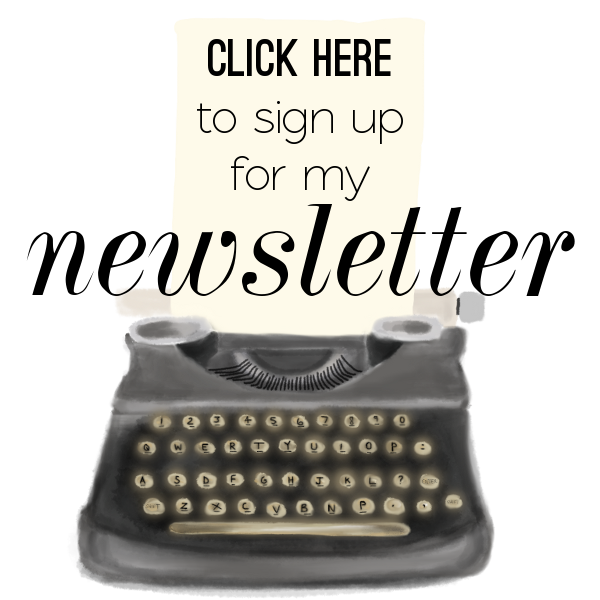 If you love Diane Chamberlain, Jodi Picoult, or A.L. Jackson, this book is for you. Lancaster House and its sequel, The Middle Aisle! Lancaster House and The Middle Aisle will be featured at 50 blogs in ONE day! That's an easy question for me! I'd absolutely grab my four published books that sit proudly on a shelf in my living room! Next, I'd grab my flashdrive that holds my two other books that are soon to be published. After all that work, I wouldn't want to lose them! If I survive, then I'd at least have one copy of each of my books! But, hopefully that won't happen! So assuming the world is still intact, here's what the lucky winner will receive . . .
All four of my books! Lancaster House and its sequel, The Middle Aisle (paranormal romance), Sierra, (romantic suspense), and I Have People (contemporary romance). US winner has the choice of paperbacks or ebooks. International winner will receive ebooks. Thank you so much for stopping by! Good luck on the giveaway! Enter to win using the below rafflecopter. Then keep on hopping! 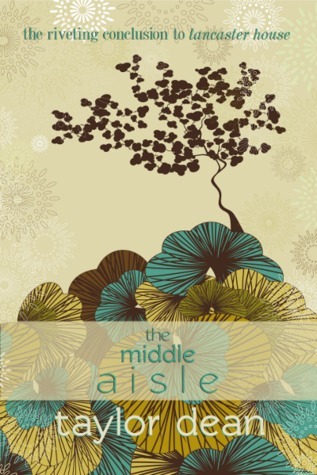 The Middle Aisle Giveaway on Goodreads! I'm giving away TWO copies of The Middle Aisle. The winners will also receive a copy of LANCASTER HOUSE! You can't read The Middle Aisle without first reading LANCASTER HOUSE! Giveaway ends December 17, 2012. Copies of The Middle Aisle, the sequel to Lancaster House, arrived today! Always an exciting moment! Enjoy the conclusion to Andre and Zoe's story! 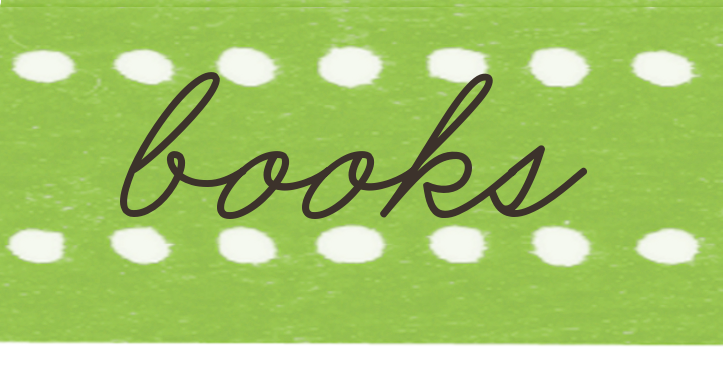 Welcome to the Book Lover's Holiday Giveaway Hop! Thanks so much for stopping by! In honor of the Christmas spirit, I'm giving away "The Taylor Dean Collection!" (to include a cute little tote bag!) A US winner has the choice of signed paperbacks (and tote bag) or ebooks. An International winner will receive ebooks. (Sorry, postage is expensive, but I don't want to leave out my international fans!) My giveaway includes: Lancaster House and its sequel, The Middle Aisle (paranormal romance), I Have People (contemporary romance), and Sierra (romantic suspense). Merry Christmas!! Enter using the rafflecopter below, after the linky list. All I ask is that you follow me via GFC OR LIKE Taylor Dean Books on facebook! Then keep on hopping! Don't forget to leave your email--and let me know if you are US or International.